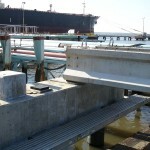 The Conoco Phillips Ship Dock was in need of rehabilitation and expansion in order to receive oil shipments from Nigeria. 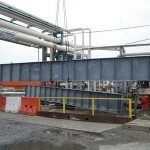 The construction schedule was time-dependent on stringent adherence to Petroleum Safety requirements. 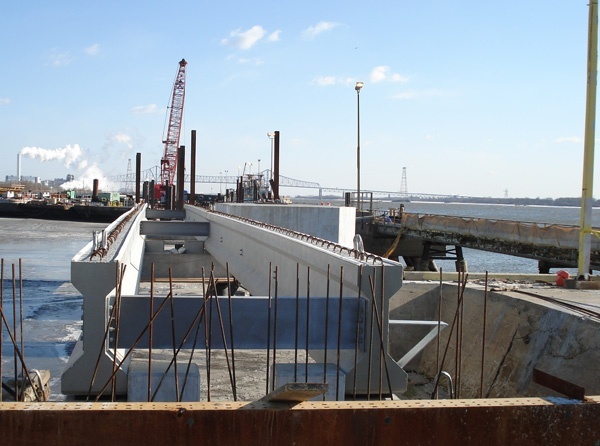 The 280 ft. long approachway bridge, which typically spans 45’, and the two up-and-down river accessway bridges (485’ and 487’ respectively with typical spans of 60’) over the Delaware River connect the new Conoco Phillips Ship Dock to their refinery. 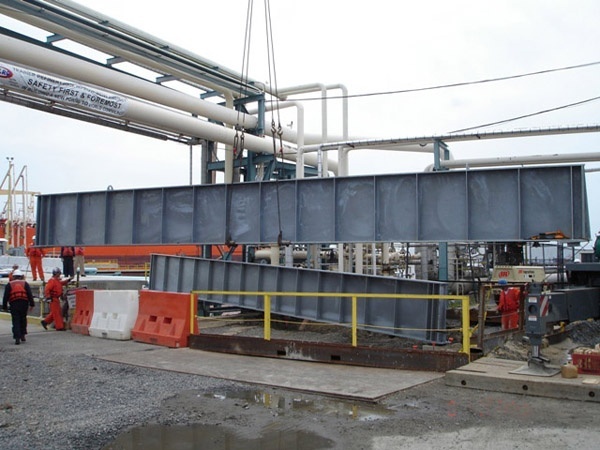 This design-build project included a reconstruction of an existing fuel-unloading facility and required all work to be sequenced from a maximum of a 3-7 day closure. 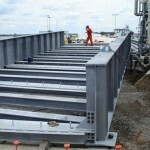 The project design was developed around “accelerated methods”, which allowed for minimal down time. 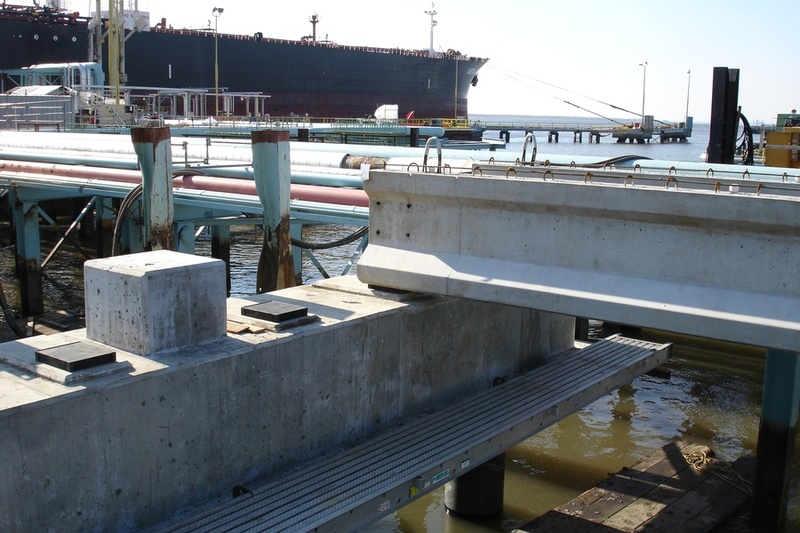 In every case, the construction was accomplished within the allowable windows and without delay to the unloading of the weekly oil tankers. 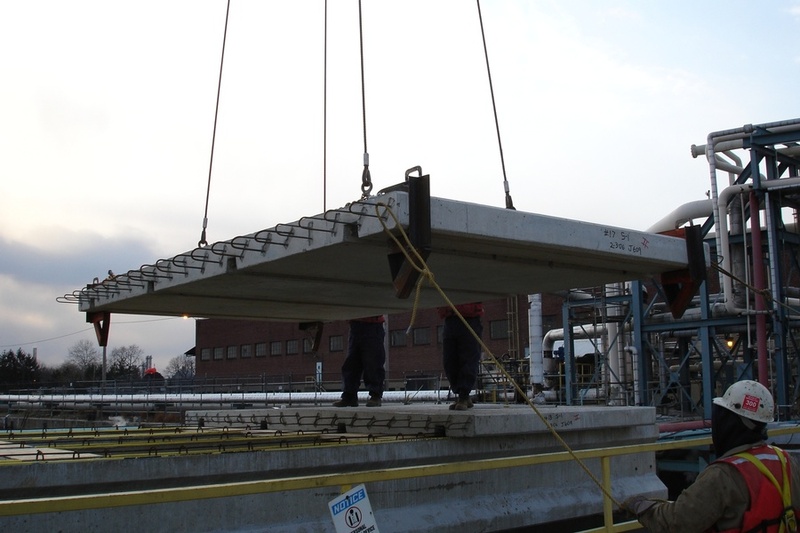 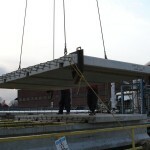 The bridge configurations are prestressed concrete beams with a precast concrete deck supported on pile bents with composite steel pipe pile/HP pile foundations. 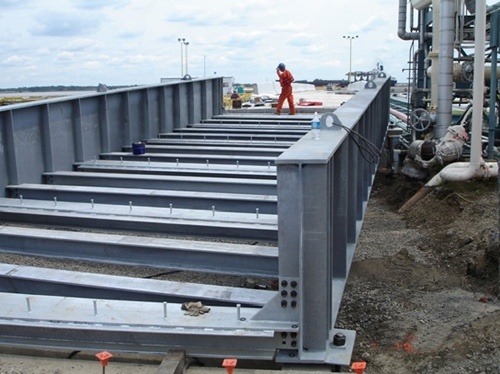 FINLEY performed the preliminary design of project level details and sequencing, conceptual design of staged construction & rapid superstructure erection scheme, and final design of all substructure & superstructure elements.